Beaconsfield is a quaint market town and in the South Bucks district of Buckinghamshire. It has the extremely privileged location at the foot of the Chiltern Hills, an official Area of Outstanding Natural Beauty. There are many attractions for visitors to Beaconsfield, including the Royal Standard pub. This old inn is believed to be the oldest Free House in England, visited by King Charles I during the civil war of the mid-17th century. Another popular destination is the Bekonscot Model Village and Railway, the world’s oldest model village, which opened its doors in 1929. The huge model railway is situated in 1.5 acres of beautifully kept gardens and the finely detailed miniature buildings are a great way to enter a time warp and reminisce how England used to be in the 1930s. 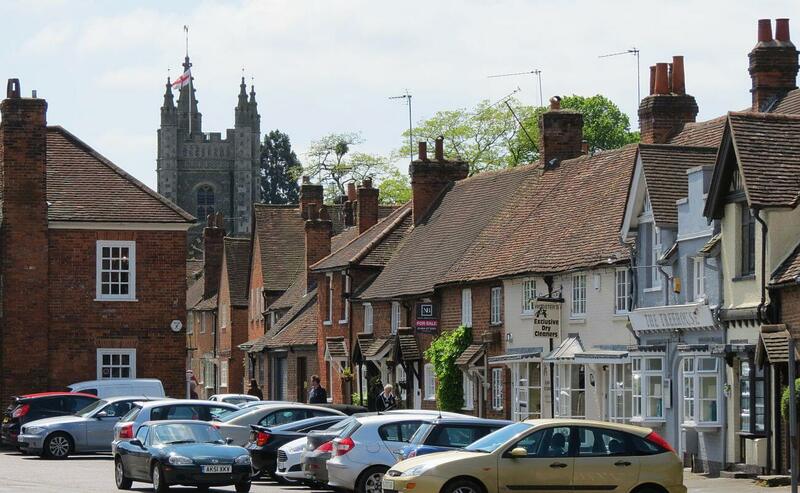 Beaconsfield is a much-desired town for commuters to the capital as it is just 26 miles from London via the A40, and the journey takes half an hour by train to Marylebone station. Four towns with excellent shopping facilities and restaurants are located within a five-mile radius: High Wycombe, Amersham, Gerrards Cross and Slough. Beaconsfield has an interesting range of housing stock, which includes Georgian, neo-Georgian and Tudor revival architecture, situated in the area known as the Old Town. On the outskirts, you will find many large houses set in their own grounds. Due to the fabulous location of Beaconsfield, and very attractive scenery, property prices in the town are continuously rising. Beaconsfield property is not cheap; the average detached home sells for £1,346,724. If you live in Beaconsfield and find you need more living space, moving to larger premises is likely to be a costly manoeuvre. For this reason, and to avoid the inconvenience, many homeowners decide to stay put and to increase their living space by converting the idle attic space beneath the roof. Why Choose Us for a Beaconsfiestld Loft Conversion? We have worked in the loft conversion industry for almost 30 years and during this time have converted numerous lofts in Beaconsfield; we are familiar of the architecture of the old Tudor and Georgian homes, and with the town planning department regulations. When you hire us to convert your loft, we assign a supervisor to the project who will oversee every stage of the work from design to fitting the final fixtures. Because we are loft conversion specialists rather than a building company, we employ in-house experts who are qualified for all related tasks, so no part of the work is outsourced. This means our exceptionally high standards are continuously maintained. Our company has won national awards for our constructions and customer service. We have in-house structural engineers who design loft conversions better than an outsider architect does, as they know how the conversion needs to function, as opposed to tackling the job only from a design point of view. Our no-obligation quotes are 100% free, so give call 0800 881 8194 or fill out the contact form, and we will arrange to visit at a time that suits you.